Automation projects rely on solid component connectivity which is an essential building block of every control panel. 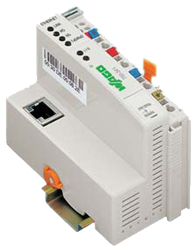 All critical connectivity components are supplied by HTE Automation. With a broad selection of connectivity solutions from world leading manufacturers, HTE is your one-stop shop for installation connectors, terminal blocks, rail-mounted terminal strips, cage clamps, m8 connectors, m12 connectors, network switches, industrial ethernet switches, pcb terminal blocks, pcb connectors, pluggable connector systems, and any other connectivity challenge you face. In this hyper-connected world of industrial internet of things, HTE specializes in all the cables and connectors required to maximize the value of your IIOT investments, including cables for every digital protocol including ProfiBus, ProfiNet, Sercos, Ethernet/IP, Device Net, Can Open, and AS-I. HTE Automation can supply all your panel connectivity requirements if you are in Kansas, Missouri, or Illinois.